I'll start with who I am. Here is what I look like, and I will share that I HATE pictures of myself. They always turn out goofy...smile off, double chin, just not very flattering, you know. Well, my daughter and I were fiddling around with the camera on my computer and sure enough, it was decent. Now, I will confess, we were not in the woods. I love technology and fiddling around with it, so I thought why not snag the picture and change the background. So, I inserted the picture into MS Paint, cut it out, and put my head in the woods. Not kidding! Then, I grabbed that and put it in Print Shop and walla...I have a decent looking profile picture. I truly love making products and finding things that work well for my students. It's actually very relaxing to me. I also LOVE to travel. It seems like I'm always planning our next trip before finishing the one we're on. (not extravagant places really...trips to the beach and car trips typically). I grew up in Iowa, and as a kid, my family took long car trips. I have fond (or not so fond) memories of the Dude Ranch trip to Colorado (we arrived at something 1:00 AM since the roads were so windy only to learn that our cabin had 2 twin beds! It was cozy for sure! I don't remember how my parents responded, but I know my dad slept on the hard, cold floor.). Camping on the Finger Lakes was another fun trip, and does life get any better for a kid than to visit Hershey...chocolate and a train ride!! My hubby, Joe, and I have been married 25 years this summer, and we have two children, 12 and 18, and a fur kid, Molly, who is an Old English Sheepdog. Our oldest graduated last spring and is a freshman at NC State majoring in physics and computer science. Our youngest is the drama queen...literally. She loves to sing, dance, and create anything. About ten years ago (about 15 years into my teaching career), I decided to jump in and get a masters in Reading Instruction. I was a Title 1 reading teacher at the time with a certification in developmental reading, but I needed to know more to adequately work with students and teachers. I started out with a group of 6-7 from our area in a cohort through the University of Virginia. Well, that was not quite enough for them to justify classes, so they shipped us off to Roanoke (an hour from me) where I met my bloggy friend, Andrea, from Reading Toward the Stars. Well, we had such a wonderful experience together working on our masters together along with a great group of literacy gals that we continue to be friends today. Fast forward maybe a year or two, and that's when I got started with my shop on Teachers Pay Teachers. I started out with mainly book units that I used with my students in Title 1 in my store. I planned out my units in a way that worked well for both myself and the teaching assistants that used them with other small groups, and these were well received. Gradually, I've added resources for both parents and teachers to address other literacy skills...phonics, fluency, comprehension, etc. The feedback from both parents and teachers was very positive in my store, and around that time, my role was changing in our school division too. I was doing more workshops for parents and teachers and becoming more of a coach. I found that role very satisfying, so I decided to begin blogging as a way to basically cyber coach. I really see blogging as a way for teachers to reflect on their teaching practice, collaborate and exchange ideas with others, see what's happening in other parts of the world in the literacy arena, and help parents who may be struggling to help their readers at home. This is where the Connection part of Comprehension Connection came from. At the time, I was working with primarily upper grades, so the emphasis for my groups was Comprehension, so that's why I chose to include comprehension in my name. If you read the tag line with my blog title, you'll see, "A Place Where Parents and Teachers Meet for Reading Resources". My plan was to use the pages as a holding spot for resources and information. Time has been my enemy though, so perhaps I will get that in a better place over spring or summer break. (Oh why, oh why, can't we clone ourselves??). There you have it. That's the story behind my blog. It's been an incredible journey and career changer for me, and I highly recommend blogging to anyone who thinks they'd like to explore it. Time consuming, yes, but yet, very enjoyable. Interested in learning more about your favorite blogs and bloggers? Check out The Story Behind the Logo Linky over at Jenny's blog, Art with Jenny K.
Have a great day readers, and be sure to come back tomorrow to check out Thematic Thursday. I have big surprises this week! Yep, Carla, I think we may be kindred spirits! What is the theme for this week's Thematic Thursday? It's a new linky for me, but I would love to jump in if I can! I will email you, but it's Winter and Snowy Fun. Easy enough, huh? I'm sure you have a winter item or two in your store. Would love to have you link up! Carla, I LOVE the new profile pic!! I'm with you...making products is relaxing :) What's wrong with us??!! I know, Julie! I honestly get up early on Sunday mornings so I can have extra time for it. This morning, I'm working on a Walrus close read and have been making a diagram of it's body. What on earth?? I just love making it look just right. I always enjoyed scrapbooking and designing bulletin boards too, and I think it taps into the creative artistic part of the brain. Anyway...it's fun. I remember when we all came together for our first class! Those were such fun times. 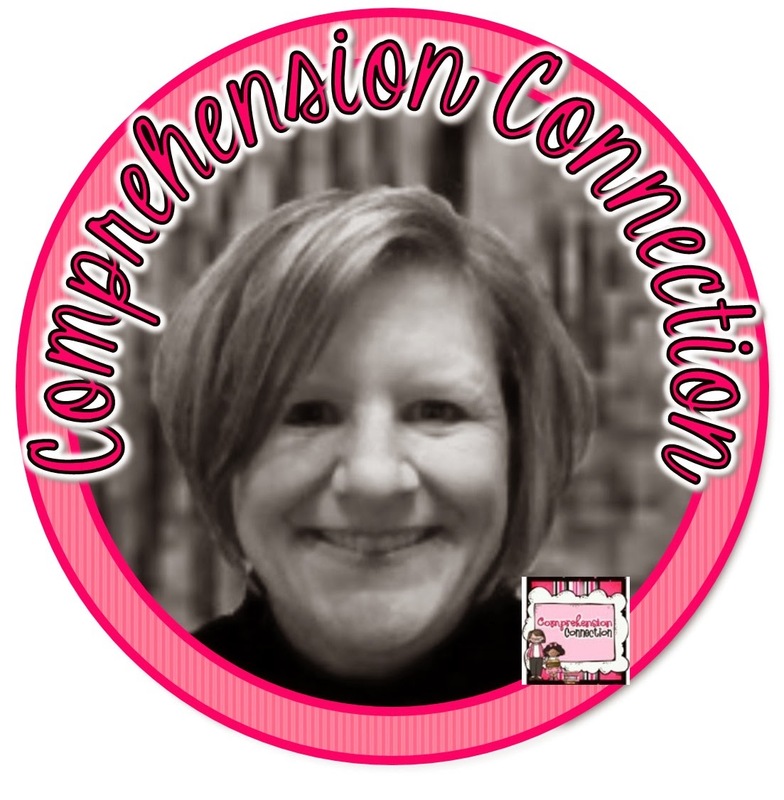 I so enjoy reading your blog and learning from you! Thanks for the shout-out! You have a BEAUTIFUL blog and logo---thank you for linking up and sharing your story!!!! I love reading these stories from Jenny's linky! I agree that blogging and TPT are a great way to connect and share ideas and experiences with others! Thanks for dropping in Brandi! It was a fun post to think about and write up. I need to copy and put it on a "About Me" page.